For a brief period in 2016, the Logitech G933 sat atop our recommendations for wireless gaming headsets. Retailing for about $100, less than half the price of premium options like the Astro A50, the 933 nevertheless was a great-sounding headset with an ingenious hidden microphone and a fancier look than the G930 it replaced. But then Logitech put out the G533—cheaper, better looking, more comfortable, and built specifically for the PC. Yes, Logitech dethroned itself, and the G533 has sat on our recommendations list for nearly two years now. Can it happen again? It’s time to find out, as Logitech recently released the G935, rightful successor to the G933—and perhaps a new heir to the throne. 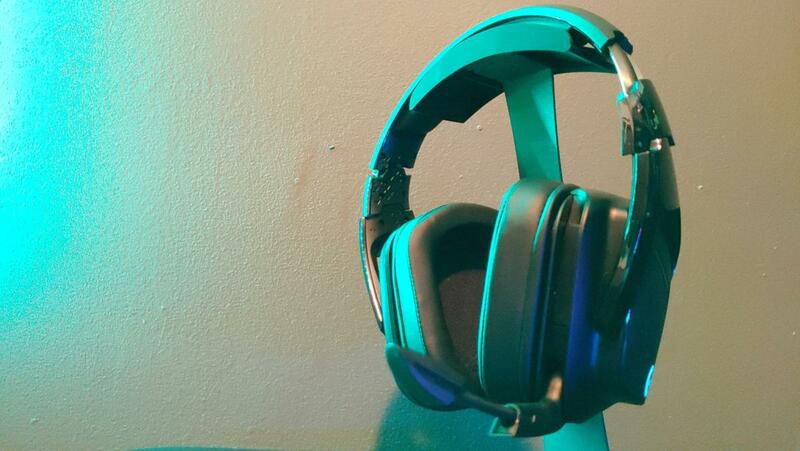 Note: This review is part of our roundup of best gaming headsets. Go there for details on competing products and how we tested them. Or perhaps not. Again, one of the reasons we gave the nod to the G533 was because it looks great. For years Logitech’s been steadily dialing back the “gamer” nob, as far as its design language is concerned. Keyboards, mice, headsets, they’ve all become steadily sleeker, more minimalist, ditching jagged edges and bright blue highlights for curves and piano black. The G533 was, as far as headsets go, the culmination of that. To its credit, the G935 is a bit more restrained than its predecessor. The aggressive horizontal slashes on the G933’s ears have been replaced with a flowing S-curve, which gives it a slightly more modern look. Also, never underestimate the value of leatherette. 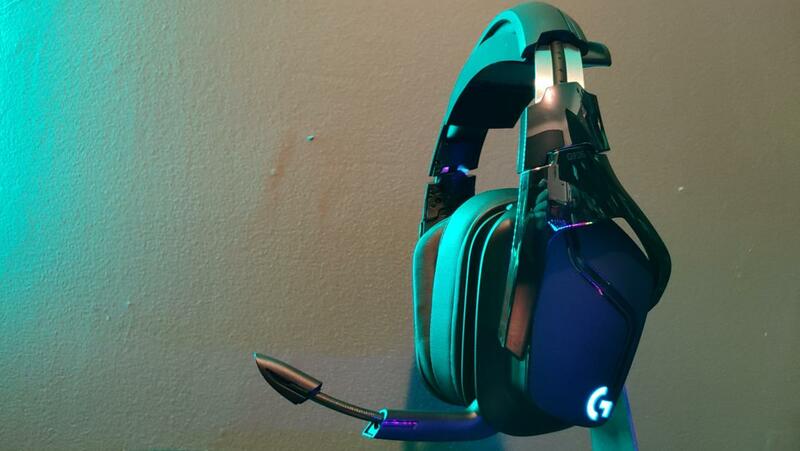 The G935 uses that instead of sports mesh, and it instantly classes up the overall impression. That’s about it, though—slightly different accents, and the use of leatherette. 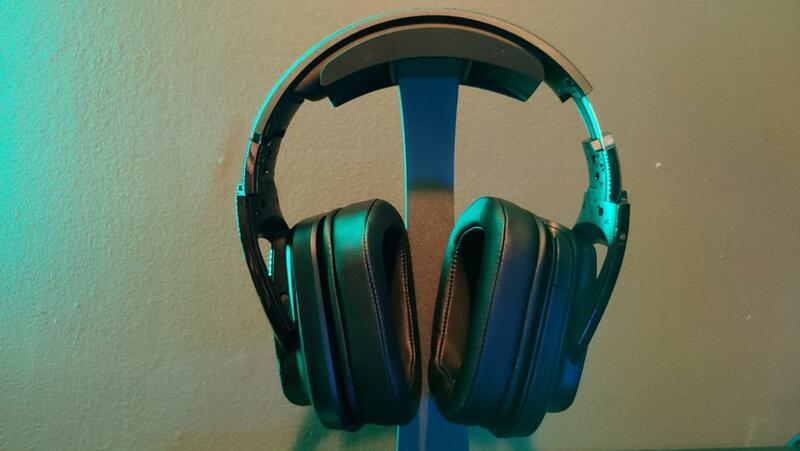 Otherwise this is the same design as the G933. It’s not bad by any means, but the G935 does seem slightly dated with its boxy silhouette and showy angles. For some reason Logitech kept the weird triangular engravings inside the headband as well, which I really don’t understand. So superfluous, and so different from Logitech’s current minimalism. On the other hand, the G935 keeps a lot of features I loved from the last model—and ones that weren’t present on the G533, for that matter. The hidden boom microphone returns, for instance. 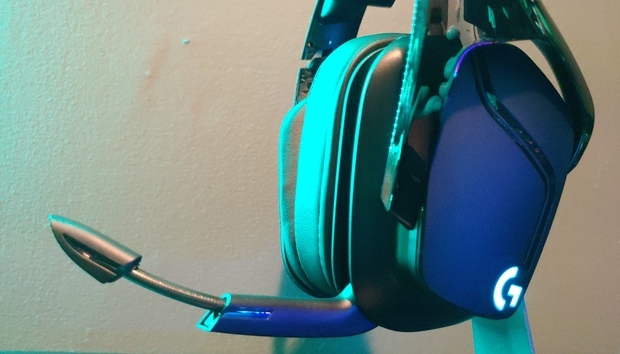 Of all the headsets to try this bit of misdirection, the G935 is the most successful. If you didn’t know there was a built-in microphone, you’d be hard-pressed to spot it. When not in use, it folds right up into the body of the headset, perfectly mimicking the lines of the chassis. Does it matter? Eh, probably not. As I pointed out last time, “The G933 is so bulky, I doubt I’d wear it away from my computer.” And at my computer, it doesn’t really matter whether there’s a microphone attached or not—that’s more of a streetwear concern. It’s a nifty piece of engineering, but won’t really change how you use the G935. Nevertheless, I think it’s cool, and the microphone itself is decent. It’s a bit oversensitive in my opinion, picking up a lot of mouth noise even at a distance, but actual voice quality is good. I’m also a fan of Logitech’s dongle storage. This feature’s become more and more common the past few years, and thank goodness. I can’t even tell you how many wireless headsets I’ve rendered unusable because the dongle got lost somewhere in my apartment. But the G933 was one of the earlier examples, and I still think it’s a solid solution this time around. 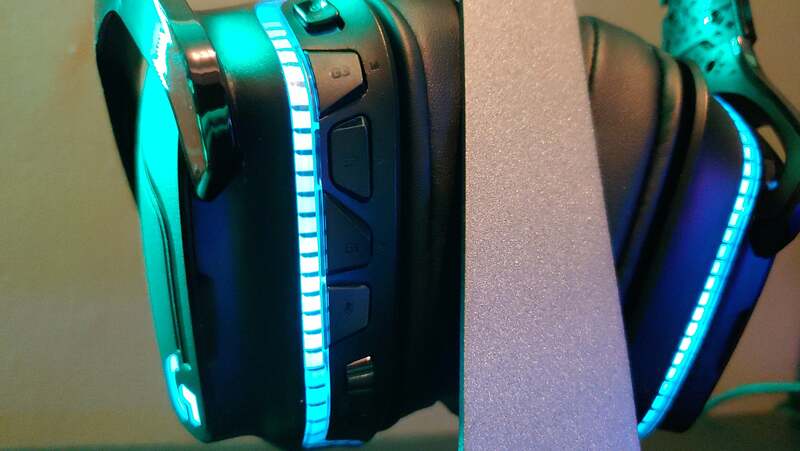 The outer panels of the G935’s earcups are held on magnetically, and a gentle tug peels the faceplate right off. The right ear houses the battery, so you could keep a backup on-hand or just replace it a few years from now when it won’t hold a charge. The left ear has a cutout for the dongle. And then there are the bevy of built-in controls. These aren’t as essential to me, and I appreciated the simplicity of the G533. That said, the G935 packs a power switch, three macro keys, a mute button, and a volume wheel on the left ear. It feels crowded at first, but the subtle differences in shape between each make it remarkably intuitive after a few days. I don’t know that I need macro keys on my headset, but it’s less obtrusive than you might expect. In any case, the real surprise is how little’s changed. Given the design overhauls Logitech’s been doing lately, I expected a bigger shift between the G933 and G935. This is by-and-large the same headset though—durable, but bulky and a bit too tight, with the same RGB light ribbons on the rear and a few other superfluous elements. It’s not bad per se, but I still think the G533 is a stronger design. It’s also worth pointing out the short battery life, because that hasn’t changed either. Even in 2016, Logitech’s eight-hours-per-charge (12 with the lighting disabled) seemed short. In 2019, it’s dreadful. The G935’s direct competition, HyperX’s Cloud Flight headset, lasts up to 30 hours with the lighting disabled. Another competitor, the SteelSeries Arctis 7, lasts up to 24. 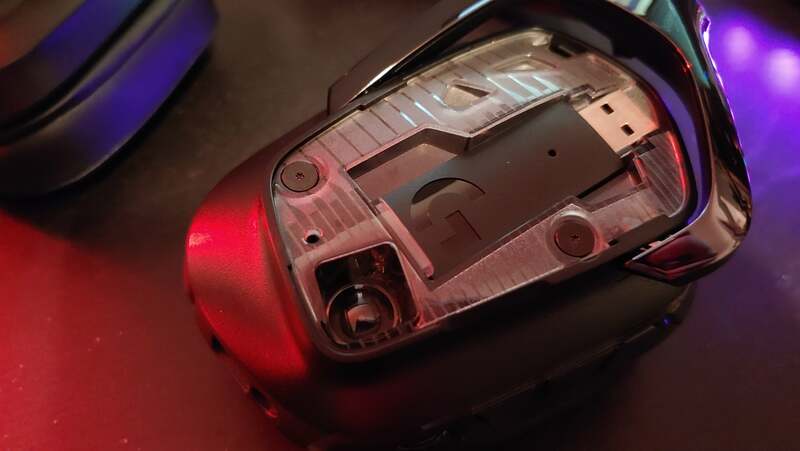 Given Logitech’s stride in wireless mice, I’m disappointed the G935’s battery didn’t get more of a boost. The G935 sounds great though. That was key to our love for the G933, and Logitech’s improved on that even. Where the G933 used 40mm drivers, the G935 is the first Logitech headset to use the now-standard (for gaming headsets) 50mm drivers. Now, let’s be clear: A well-tuned 40mm driver is better than a poorly balanced 50mm driver. In theory, the driver size isn’t a huge factor in how a headset sounds. But a larger driver does generally indicate better bass presence, and that’s one of the areas where the G933 struggled. The G935 doesn’t sound bass-heavy, by any means, but there’s definitely more low-end this time around. Last time I felt all-but required to use Logitech’s “Drop the Bass” EQ setting to get an exciting sound, but this time the default “Flat” response feels pretty damn close to what I want. I don’t think it’s quite as flat as Logitech claims, and I detect a smidge of warmth on the low end and in the upper-mids, but not in a way that’s distracting. It’s a good thing I like the default sound too, because there doesn’t seem to be nearly as much bass headroom this time around. I did, for the sake of experiment, jump back and forth between the “Flat” setting and the now better-named “Bass Boost” setting, but I can barely tell the difference even in music with prominent bass chug. Even creating my own EQ and pumping the bass sliders to max didn’t make much of a difference. Personally I don’t think you need more low end than the G935 has on offer, but if you’re in search of skull-shaking bass then this isn’t your headset. That niche aside though, I think the G935 is one of the better headsets on the market—especially in the sub-$200 range. The HyperX Cloud Flight gives Logitech some stiff competition, but I think the G935 still edges it out—slightly. My only real disappointment? Isolation. As I said, Logitech switched to leatherette on the G935 and I was onboard. Sure, there’s more heat buildup, but generally both sound quality and comfort are better with leatherette. Of course, part of the reason leatherette improves sound quality is because it blocks outside noise from intruding. I used the aforementioned Cloud Flight in an airport for instance, and was amazed how much crowd chatter it filtered out. The G935 isn’t nearly as impressive—in fact, as I write this I can hear the tap-tap-tap of my keyboard over the music I’m listening to. Logitech’s not the only offender in this department, and it’s certainly better than previous sports-mesh designs like the G933, but given the move to leatherette I expected better. Ultimately, the G533 holds the throne. The G935 is a better-sounding headset, there’s no doubt in my mind, and at $169 the price is more reasonable this time around as well. But I strongly prefer the G533’s design, the battery life is (slightly) better, it’s cheaper, and it still sounds pretty damn good. “Good enough,” I might say. That said, the G935 is a solid update. Logitech’s toned down the worst of the G933’s design excesses, upped the bass presence significantly, and kept the rest pretty much the same. It’s not the most inspiring upgrade, but it’ll keep Logitech’s flagship on par with the competition for the next few years at least. Meanwhile I’ll be waiting for the G535.